As your local Acura dealers, we want to keep you up to date on the new and pre-owned vehicles we have to offer. 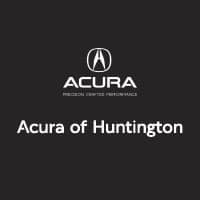 If you’re looking for an SUV that hits the mark in terms of comfort, technology, and capability, visit us at Acura of Huntington to check out the 2019 Acura RDX. The overhaul of this third-generation model introduces a smaller, but higher, torque-achieving turbo charged four-cylinder engine that pairs with a ten-speed automatic transmission. The result? A precise 272 horsepower and 280 lb-ft of torque. While front-wheel drive comes standard across the board, Super Handling All-Wheel drive™ (SH-AWD®) is available as an option. When it comes to standard technology, you’ll be impressed by what comes standard in this new Acura near Long Island, NY. In addition to SiriusXM® satellite radio and Bluetooth®, a mobile hotspot, AcuraLink®, Apple CarPlay™, and Android Auto™ all come equipped. The cherry on top is the standard AcuraWatch™ safety and assistance package that features collision mitigation braking, adaptive cruise control, lane keeping assist, and road departure mitigation. A range of comforts and conveniences graces the cabin of the Acura RDX for sale. Dual-zone automatic climate control adapts the interior to your desired temperature, as heated front seats ensure a cozy commute on chilly days. Thanks to keyless access and pushbutton ignition, getting in and on your way is completely hassle free. A leather-wrapped steering wheel, active sound control, and ambient lighting are a few additional items that come standard. We invite you to come by and take a look at this vehicle or any additional Acura models that pique your interest. We are happy to talk about Acura financing and all other need-to-know information for new car buyers. Come see us at Acura of Huntington today to test drive the Acura RDX!